If you're in the market for an incredible Look4Less of these Louis beauties then here you go! 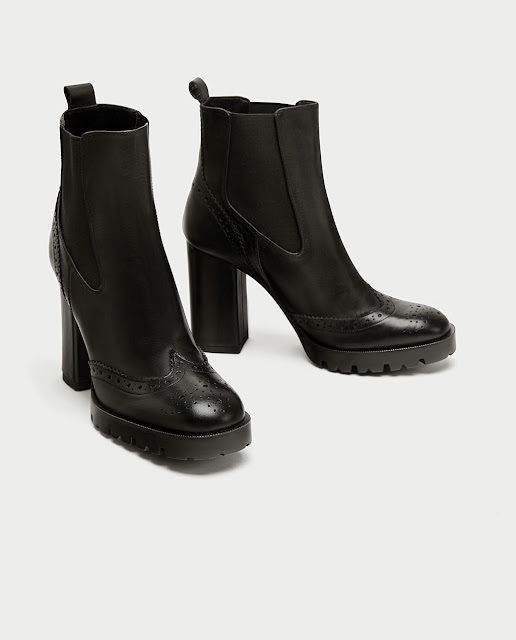 These Zara boots have the same thick track-sole and the same shape as the Louis Vuitton boots but obviously without the iconic monogram. If you want to try the chunky heel trend these boots are a great option at €89 and are real leather too. I'm OBSESSED with both pairs! The LVs are so beautiful with the print!! !